Arguably Vietnam’s most popular soup, this flavoursome broth is also the country’s most mispronounced (‘fuh’ is the accurate pronunciation). This broth has its origins in Northern Vietnam – near Hanoi, and went global in the 20th century along with the Vietnamese refugees. The broth is usually simmered with beef bones and spices and features noodles, beef or chicken and herbs. If you’re ever in Hanoi, head to Pho Gia Truyen and sample the Pho Tai Nam with beef brisket. Barack Obama and Celebrity chef Antony Bourdain met over a bowl of Bun Cha at a pokey eatery in Hanoi. That eatery – Bun Cha Huong Lien, has now become a must-stop for gourmands and tourists alike. 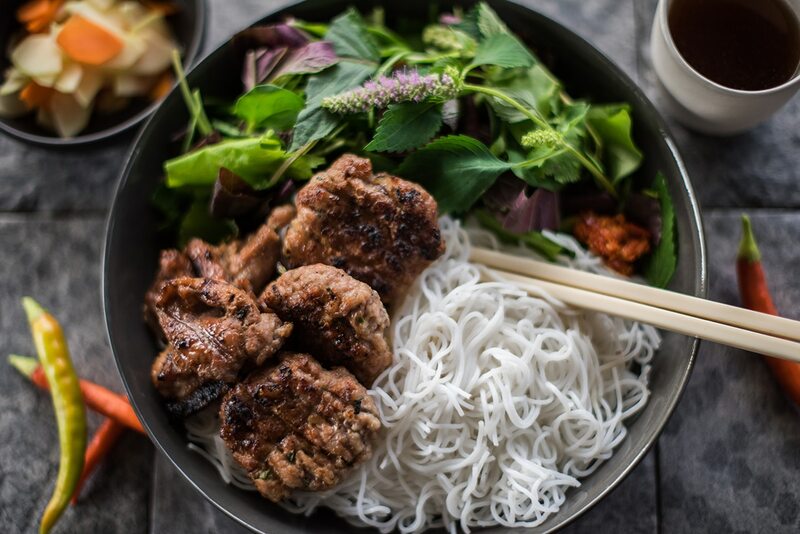 This quintessential Hanoi dish is a meal in itself and comprises of grilled pork, rice noodles (bun) served with a dipping sauce. In 2011, CNN named this among the world’s 50 ‘best foods’ saying they are the very definition of the word moreish. I can’t agree more! It’s one of those dishes where you can’t stop with just one. These spring rolls are almost ubiquitous in Vietnamese restaurants across the world (and India) and symbolize the simplicity of Vietnamese cuisine. 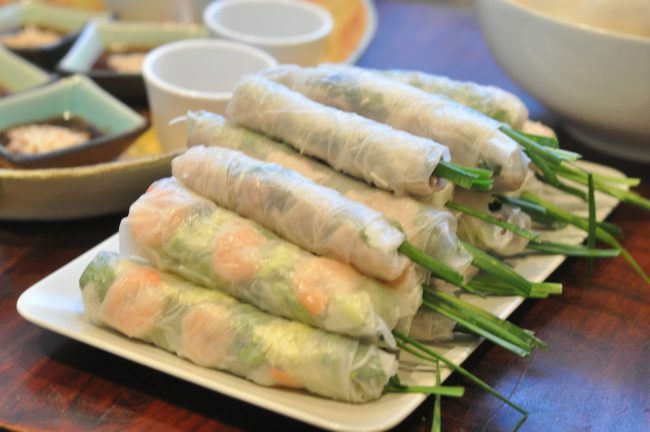 Pork (or/and), prawn, vegetables and rice noodles are wrapped in rice paper (banh trang in Vietnamese) and served at room temperature with a peanut-based dipping sauce. This dish takes its name (it’s Vietnamese for sizzling cake) from the sizzling sound when the batter is poured on to the skillet. I first encountered this dish at a local eatery in Southern Vietnam’s Nin Thuan province. It’s crafted with rice flour, water and topped with squid or shrimp, slivers of sliced pork and spices. It might look like an omelette but there’s no egg in this dish. Many Vietnamese dishes are not just refreshingly simple, your dietician would approve too. This Southern style beef salad is both healthy and delicious – rice noodles, lean marinated beef, finely sliced fresh vegetables and roasted peanuts. 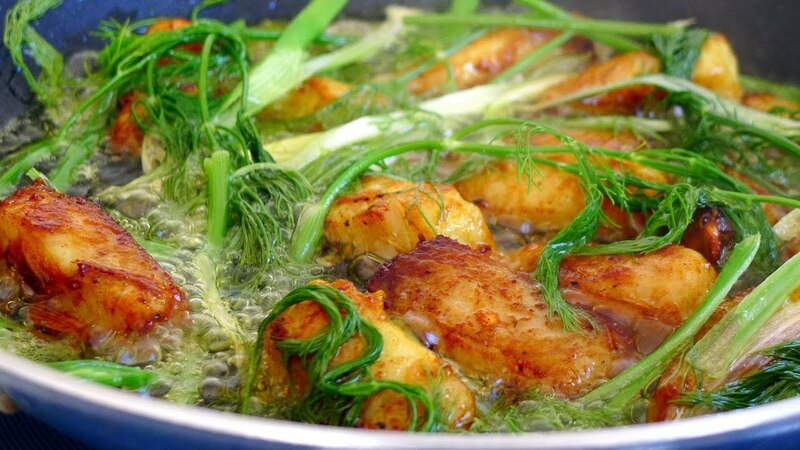 Vietnam’s favourite Nuoc cham dipping sauce that combines fish sauce, lime juice, sugar and water; it’s often embellished with bird’s eye chili or garlic and is sweet, sour and spicy. The interplay of subtle flavours defines one of Vietnam’s most popular seafood dishes. The fish (usually catfish) is marinated in turmeric, ginger, garlic and fish sauce. It’s then served seared until it almost turns flaky and is served with fresh herbs, occasionally dill, crushed peanuts, rice noodles and dipping sauces that sometimes include mam mem (fermented anchovy dipping sauce). The French left their culinary imprint on Vietnam; this dish is clear evidence. The Vietnamese have transformed a French baguette into a formidable meal with an assortment of fillings that usually revolve around pork. Pork belly, grilled pork or pork liver pate, come together with fresh vegetables like cucumber slices, pickled vegetables, cilantro and sometimes also include cheese. It makes the perfect ‘grab and go’ meal. As any true blue South Indian who loves filter coffee, my predilection for Vietnamese coffee is nothing but natural. The brewing style is similar – drip style, in tiny coffee percolators. But the end result couldn’t be more different. Vietnam is among the world’s leading coffee producers. Most Vietnamese like their coffee served cold. The strong decoction from one of the country’s myriad coffee brands is then stirred with condensed milk and ice cubes. This is something you can try at home. Hanoi is the country’s coffee capital and I tried quite a few variations including a unique egg coffee where egg yolk is whipped up with condensed milk. The Southern version I tried at a couple of establishments in Ho Chi Minh City was served in a taller glass with finely crushed ice. So if you ever happen to be in Vietnam, do try these amazing yet delicious delicacies!